Cyclists and motorcyclists are among the most vulnerable road users in the UK. Add in the dangerous nature of rural roads and those on two wheels are especially at risk. 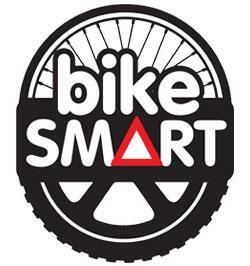 Road Safety Week takes place 19-25 November and the theme for this year is ‘Bike Smart’. According to road safety charity Brake, more than 100 riders are injured every day in needless, preventable crashes. Being Bike Smart is about making sure that all road users – whether on two, four or more wheels – know about the dangers that cyclists and motorcyclists face and ensuring we all behave in a way that minimises those risks. Road Safety Week is an excellent opportunity to deliver the Drive It Home Curve module, which helps members stay safe on rural roads. Drive It Home helps people to understand dangerous driving and its consequences, helps to change attitudes to discourage dangerous driving and helps people make smarter choices either as drivers or passengers. In addition, by registering with Road Safety Week 2018, you can get a free electronic action pack which will help you and your club be Bike Smart.